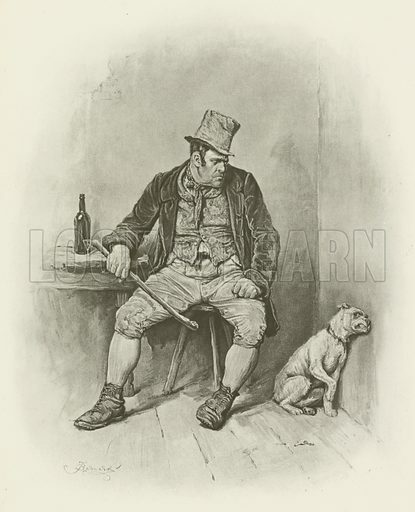 The best pictures of Bill Sikes and his dog are vivid images of illustrations to Oliver Twist. The first picture shows Sikes trying to get rid of Bull’s Eye. 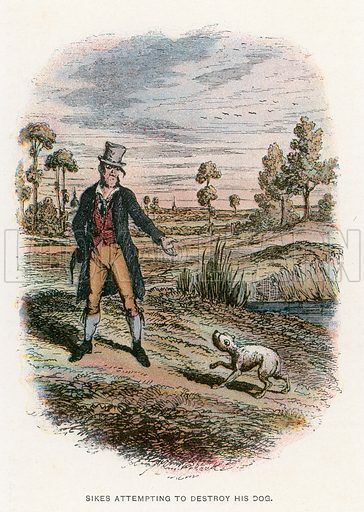 The second picture shows a less familiar illustration by Frederick Barnard. The third picture shows Bull’s Eye watching Sikes attempting to make his escape. 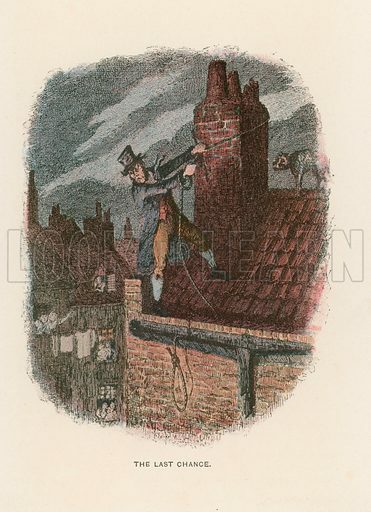 Many more pictures of novels by Charles Dickens can be found at the Look and Learn picture library.